"Ice Cream" whispers Clara | Romantic and Lifestyle blog: Princess sleeps here, Marie pyjama giveaway! Princess sleeps here, Marie pyjama giveaway! me, reading your lovely words. 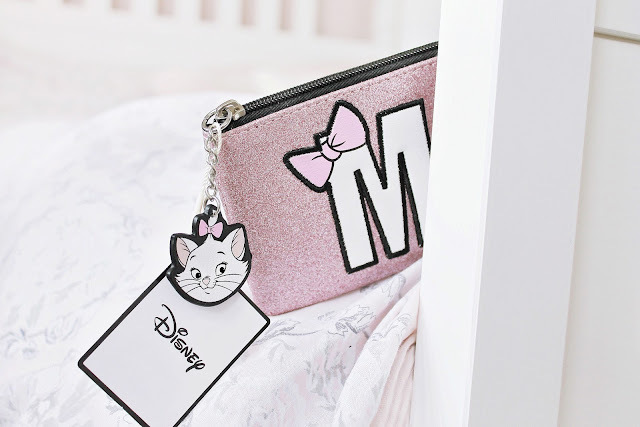 I love giving people the chance to own pieces from the Disney Primark range, as they can be hard to find or collect. This giveaway runs internationally and I bought all of the items myself. They are all things I'm absolutely loving at the moment and I can't wait to find a winner and surprise them! To enter just fill in any Rafflecopter entries below. If you're not a Rafflecopter fan, just follow me on Twitter, retweet this tweet and you will instantly be included. Following me on instagram and dropping your username below will also gain you an entry. Don't worry, I will be sure to include all entries when selecting a winner! My goodness these pyjama pieces are cute! I opted to buy a M/L size so they might fit all sizes but they are definitely a large fit (I love oversized PJ's, so comfy!). 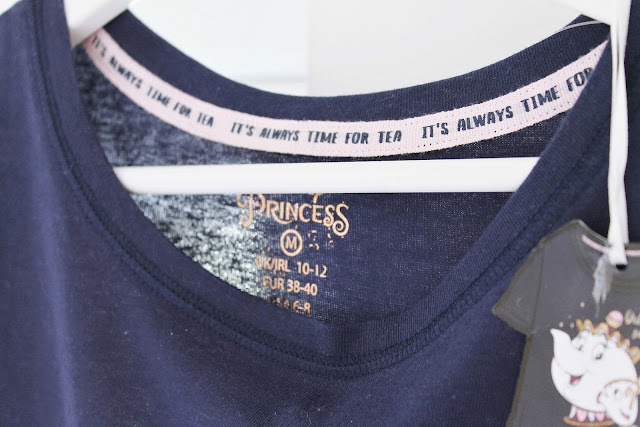 The pants are so fluffy and soft and the night shirt features an adorable Chip and Mrs Potts with sparkly gold detailing spelling 'Did someone say tea?'. I have a number of nightshirts from Primark in my wardrobe and the gold and sparkly adornments never ever seem to fade! I also picked up another two of these Yankee candles for the giveaway because they smell incredible. Thank you, I've entered. :) Would be especially cool to win the candles! This is such a lovely giveaway! As always, you pick amazing prizes. The pyjamas are super cute. The Marie purse is also great, I love it! So cute! I love the Disney range in Primark some super cute bits in at the moment - they sell out so quickly though. This is such a wonderful giveaway!! I love anything Disney! By the way your blog is so beautiful and dreamy!! What a cute giveaway. Love this PJ set.